Bit more self gloss. Two terms after the last grading I've now made 3rd kyu blue belt in Ishinryu Karate, with distinction. That was unexpected! It took me five terms for the last grading and only two for this one. Then again, I have been spending between five to six hours a week, three to four days, at karate and even helping out with a bit of instruction. I think that helped a bit because I certainly wasn't perfect tonight. I'm not sure if it was the anxiety of grading or something else, but I felt awful all weekend and today. Alex has been busy with tennis and wasn't read to grade. Next term. One of his best friends from school failed his green belt grading, along with most of the others going for it. Very sad. 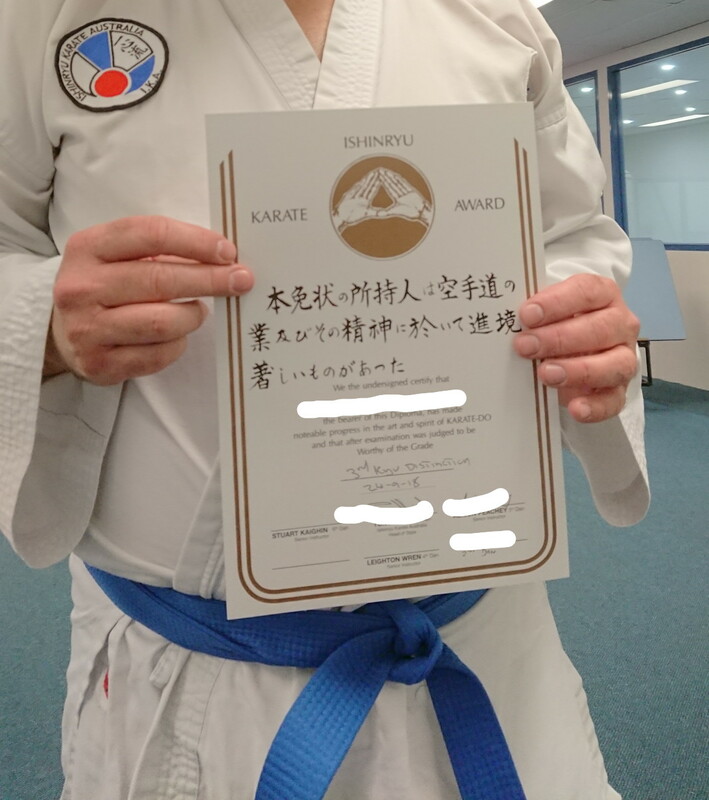 Next stop brown belt. It's getting serious!